Sometimes in politics it’s not about right and wrong – it’s just a matter of who seems to be yelling the loudest. In the lead-up to next week’s mid-term election, that award goes not only goes, strangely, to a man already in office – but to a man who isn’t actually even up for reelection. We’re talking, of course, about Donald Trump, who has used his pulpit of late to encourage folks afraid of Hispanic immigration to turn out en masse to prevent a Democratic takeover of Congress. Playing politics isn’t our game; we’re not taking sides here. But while we’re reluctant to endorse candidates, we certainly don’t mind endorsing this idea: What if we all just agreed music, rather than screaming on television sets, was a better way to explore the human issues of the times? That’s exactly the philosophy Craig will explore on Friday when he turns over the Trail turntable to Alejandro Escovedo. The Texas-based singer/songwriter dropped an album in September that is focused entirely on the topic of immigration. Born to a family of Mexican immigrants, we’d like to think Escovedo might have some “expert” knowledge on the issue. And so, as we head into the final weekend of this hot political season, we’d like to amplify his voice briefly – if not louder than those chasing political approval, then at least loud enough to make your morning a bit more enjoyable. 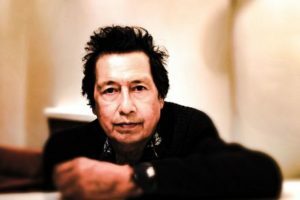 The Crossing marks Escovedo’s 13th studio release and features guest appearances from members of the Stooges, MC5 and more. It explores the concepts of immigration through the voices of two young immigrant rock and rollers – Salvo, from Italy, and Diego, from Mexico – as they link up in pursuit of the American dream. • Last week Bob Dylan dropped a six-CD set of rarities, outtakes and unreleased recordings from his Blood on the Tracks session, and so Robert will mark the occasion with a few cuts from the 1975 original. 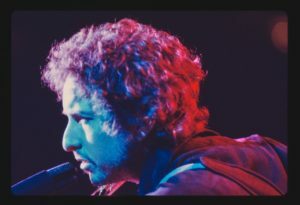 Blood, Dylan’s 15th studio release, is considered one of his greatest albums – reaching the top of the Billboard 200 chart upon its release and later making the No. 16 slot on Rolling Stone’s list of the 500 Greatest Albums of All Time. More Blood, More Tracks – which came out just this last week – also includes a one-off single-CD sampling of some unused Dylan tracks from the recording session, which took place over eight days split half and half between New York and Minnesota. For more on the album, including speculation on its lyrical origins, check out this recent New York Times retrospective. • Tommy will wrap up the day with the seventh studio release from Portland-based alternative folk-rock band, The Decemberists. Released in 2015, What a Terrible World, What a Beautiful World marked a departure of sorts for the five-piece – from literary stuffiness (albeit very, very enjoyable literary stuffiness) to something that resembles a little more mainstream pop. In its original review, Spin Magazine – which described the band’s previous works as “hyperliterary” – gave Terrible, Beautiful a 7 out of 10. Stay relevant, they did – as evidenced by the success of their most recent release, I’ll Be Your Girl.